Magnetically High Current Power Inductors. Low profile ( 1.0mm max. height ) and 2.0 mm (Length) * 1.6mm (Width) compact original design. Low DC resistance and Suitable for large current. Low acoustic noise and low leakage flux noise by shielded construction. 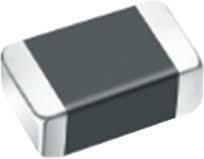 Ideal for DC – DC converter inductor application in hand help personal Computer, etc. Halogen Free , 100% lead ( Pb) Free and RoHS compliant.